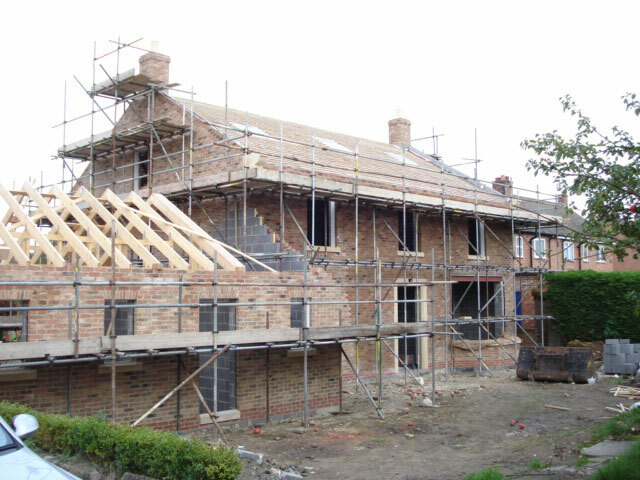 Creating a New Home or Extending and Improving your Existing Home? More people are realising the advantages of creating their own new home or extending and improving their existing home in order to meet their requirement for more accommodation and style. For many people this will be the first and only time that they will undertake such a project and it is essential that they have some understanding of exactly what is involved and what they need to do. This understanding will hopefully then enable them to make the right decisions that will help to ensure a successful outcome to the building project. The Plan Shop Architects have produced a client guide and accompanying information sheets with the aim of explaining what is involved in a typical domestic building project. This guide is not however, intended as a self-builder’s manual and you are advised to seek professional advice on all building projects at the earliest possible stage. Historically, the involvement of architects in these type of domestic projects has been limited to a few sole practitioners with the majority of work of this nature being carried out by architectural technicians and ‘plan drawers’ on a cash in hand basis. In recent years there has been a growing demand for design and management skills in this area of work that only architects can generally provide. Choosing the right architect for the project will obviously depend on many considerations but you will generally need to be confident in their ability to perform in areas that are particularly important to you. ‘A good working relationship between client and architect will contribute significantly to the success of a project’. The architectural profession is governed by the Royal Institute of British Architects (RIBA) who control qualification standards and the conduct of Chartered Architects. The Plan Shop Architects can offer a wide range of services and valuable advice and expertise at all stages of a building project. We are also able to provide certificates for completed projects. For a limited period until after the New Year we are offering to provide our Preliminary Service free of charge so why not contact us now to arrange a free consultation and to obtain your client guide.